Hot topic: Can ’Safe Drive, Stay Alive’ style interventions change behaviour and save lives? 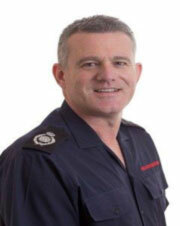 Sean joined the Kent Fire & Rescue Service in July 1986 and has served in all response, prevention and protection departments. Sean’s current role as the director of operations means he is responsible for all aspects of frontline service delivery. This includes all 55 fire stations, community and technical fire safety and health and safety references. Sean is the National Fire Chief’s Council (NFCC) lead officer for road safety and also represents the NFCC on the Prime Minister's Dementia Challenge Group. Sean completed a Masters degree in Business Administration in 2008 with the University of Kent. 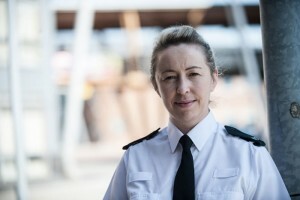 Jami Blythe is a former police officer with Northumbria Police. After for serving for 20 years, 14 of these as a motor patrols officer, she is due to start a new career as a client support executive with Sintons Law Firm. After specialising in family liaison and complex road death cases, Jami returned to study a degree at the University of Sunderland. Graduating with honours, she has subsequently travelled to New York and Munich to present research on the use of storytelling in police education. In her former position with Operation Dragoon at Northumbria Police, Jami developed and led Road Sense Common Sense (Road Sense), an emergency services multi-partner young driver road safety presentation. Her Professional Doctorate (DProf) thesis was entitled ‘the role of empathy through storytelling in young driver road safety education’. Neale is a chartered psychologist in the study of human behaviour and transport at TRL. His published work has covered young and novice drivers, graduated driver licensing (GDL), driver training and education, telematics, speed choice, risk perception, decision making, hazard perception, fatigue and distraction. Neale has authored numerous reviews of young and novice driver safety detailing the potential impact of GDL in Great Britain and reviewing the effectiveness of interventions aimed at improving young and novice driver safety. In 2017, he led a review of the effectiveness of pre-driver interventions in Scotland and published a think piece challenging the current approach to young and novice driver safety. 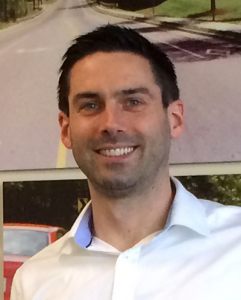 Neale is a member of the US Transportation Research Board’s young driver subcommittee, Road Safety Education Australasia’s Advisory Council and the British Psychological Society. He has also served as a collision investigator. Click here to watch the Q&A session which followed the presentations.